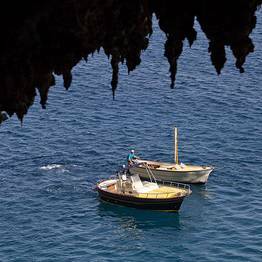 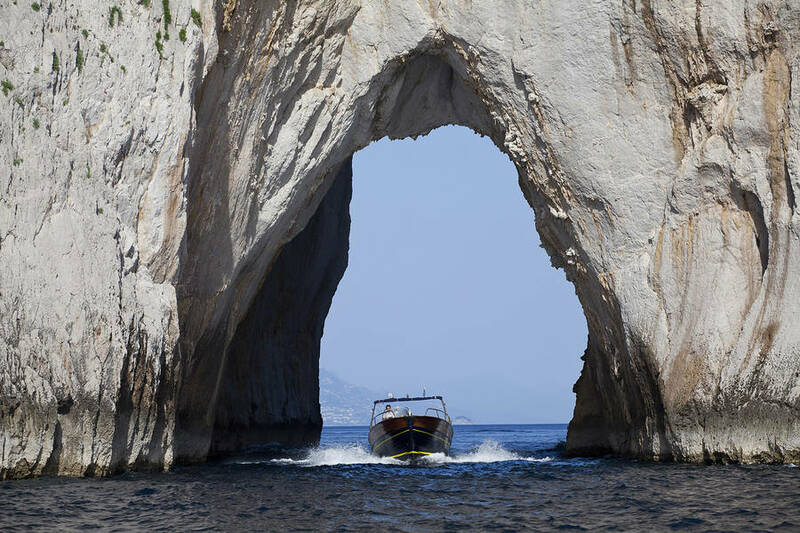 The best way to get to know the Island of Capri is to explore the surrounding Mediterranean sea, the coastline full of hidden sea caves, and the tiny coves far from the tourist crowds, where the secret beaches are lapped by waves of deep turquoise. 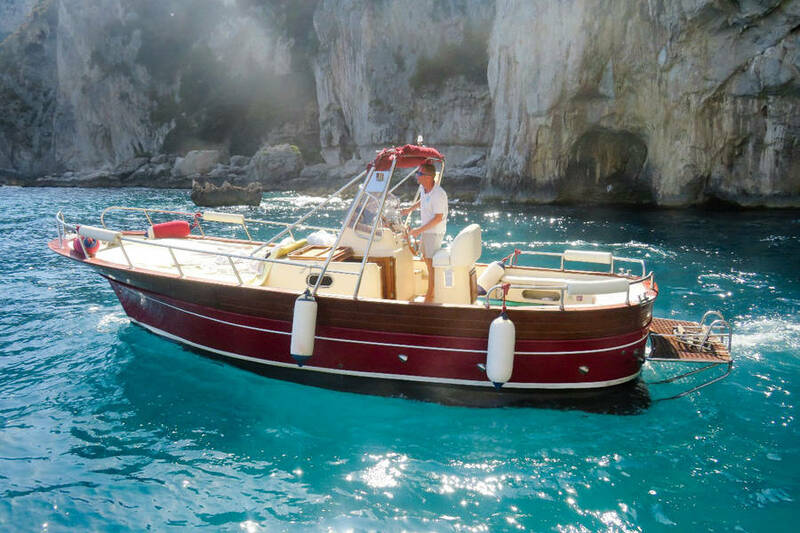 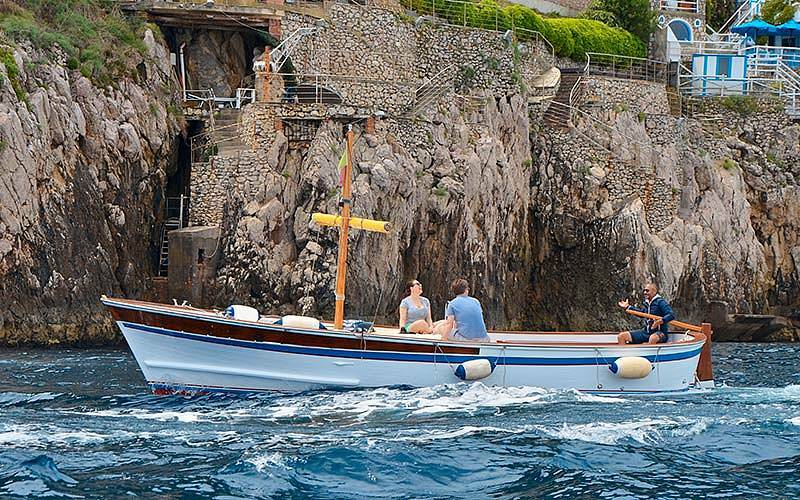 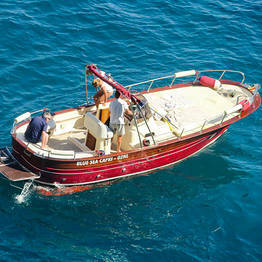 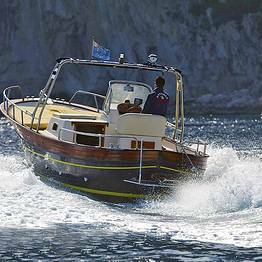 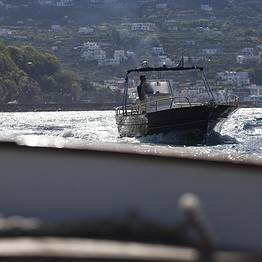 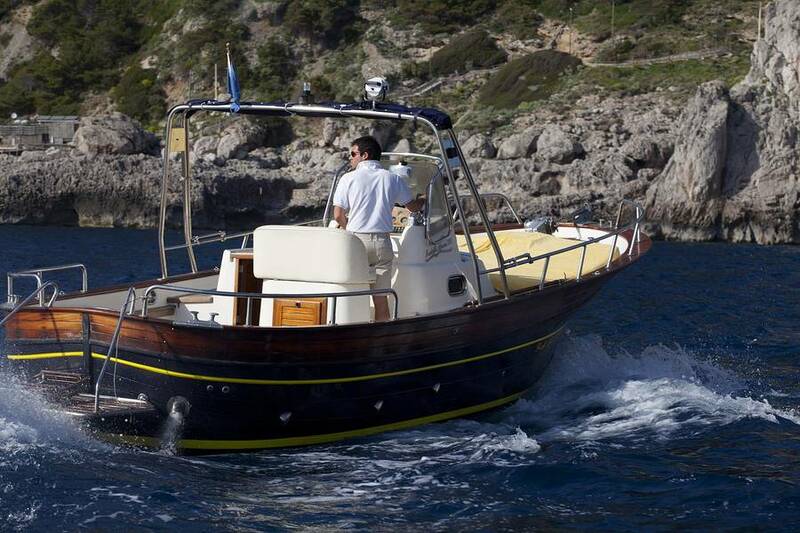 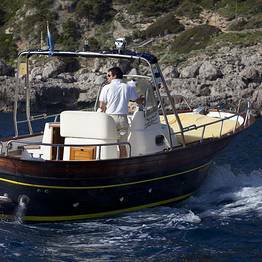 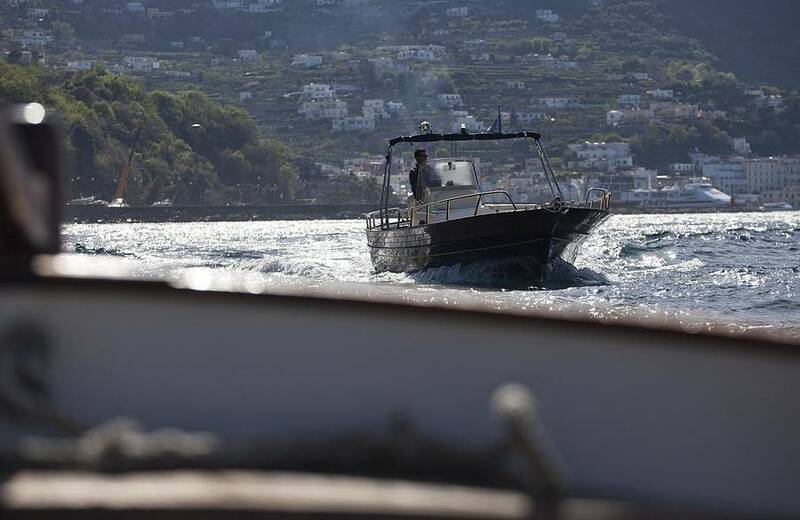 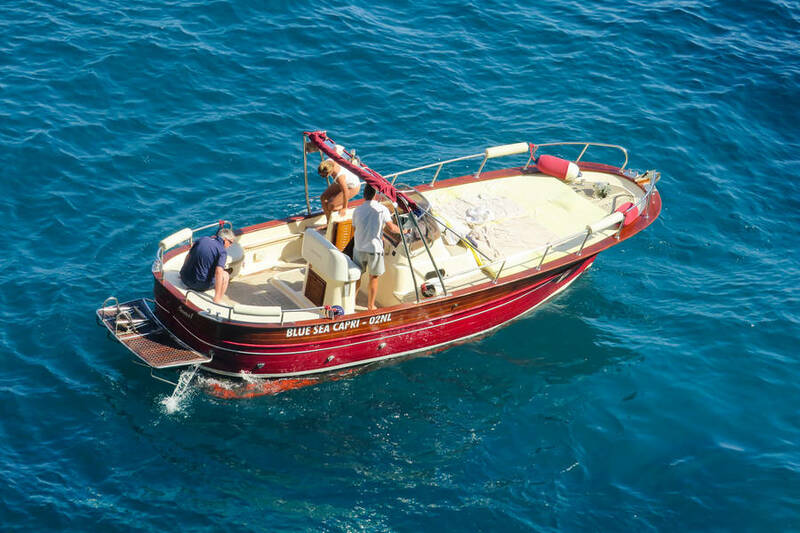 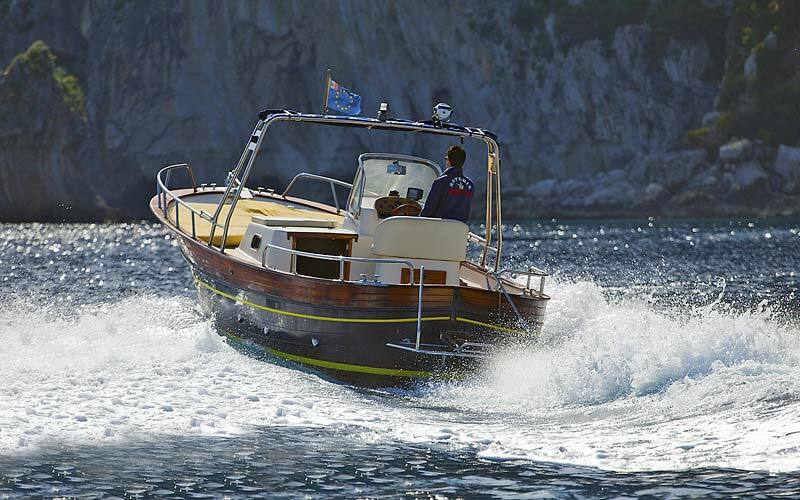 You can discover all this, and also sail to the lovely fishing villages along the Amalfi Coast, with Blue Sea Capri's traditional wooden gozzo boats, rubber dighies, and speedboats. 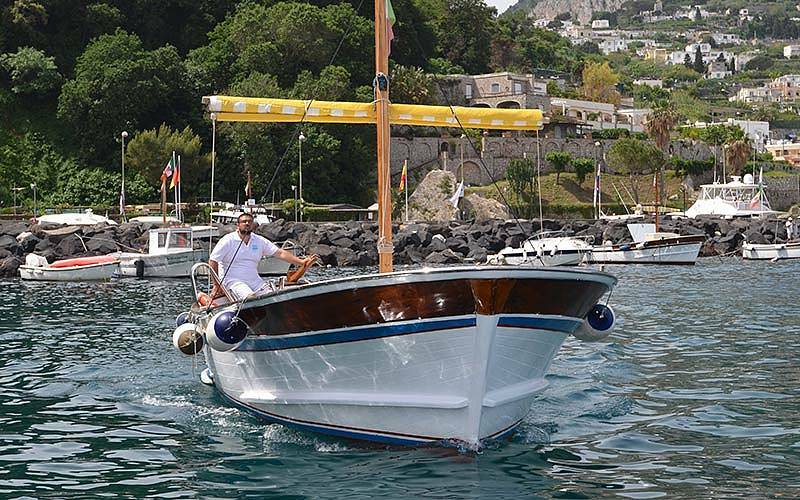 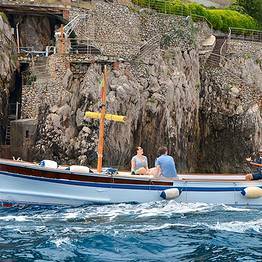 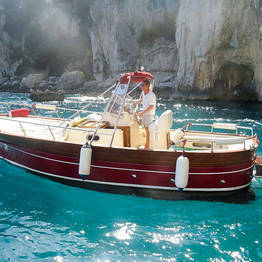 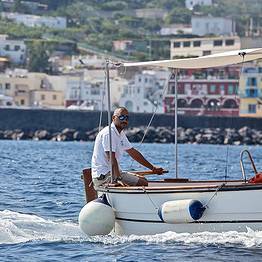 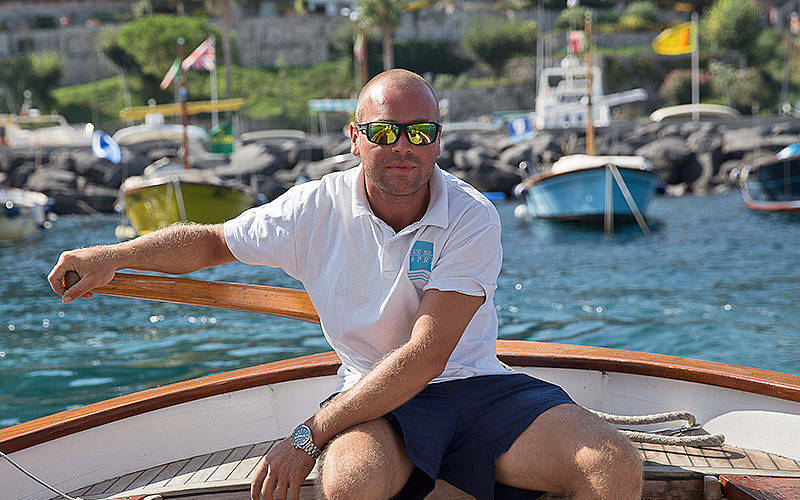 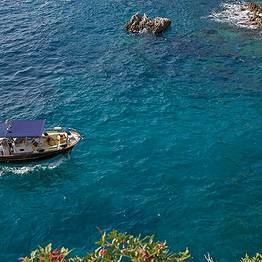 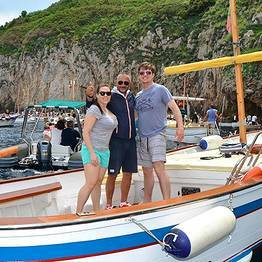 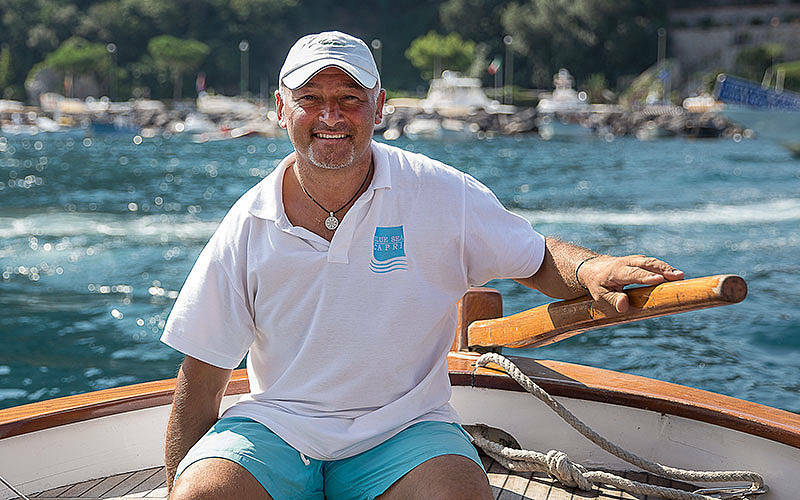 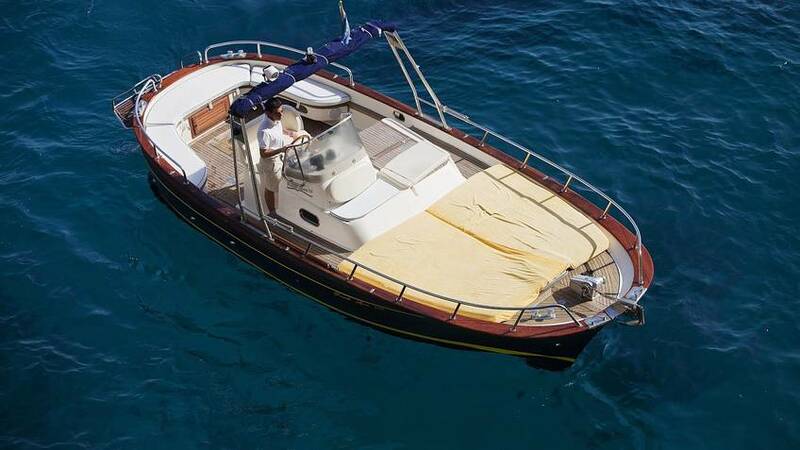 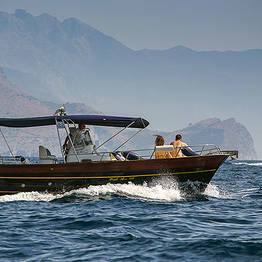 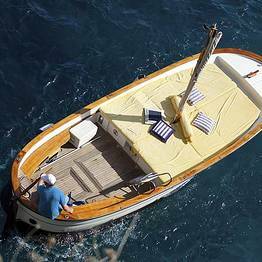 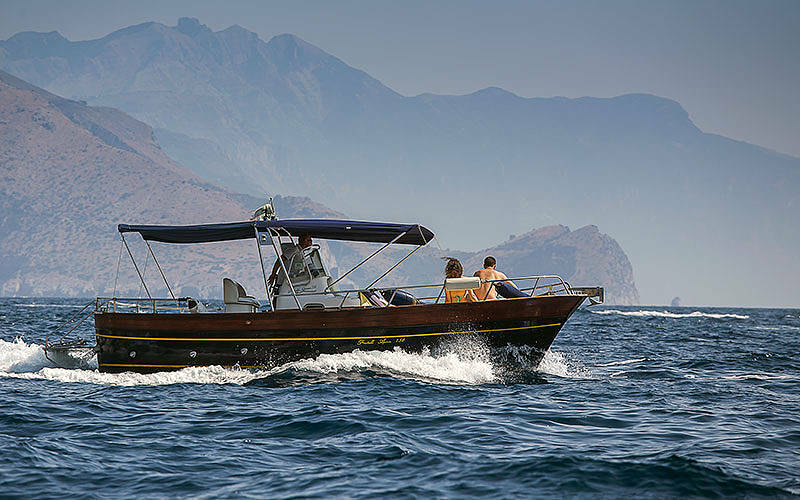 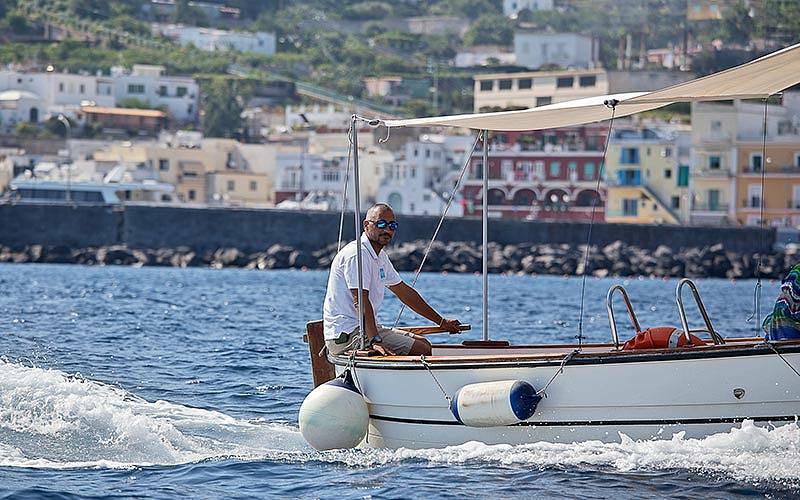 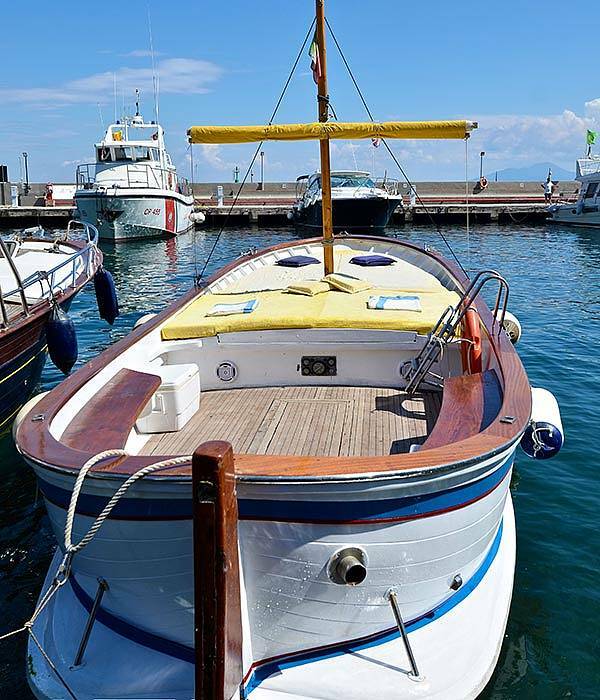 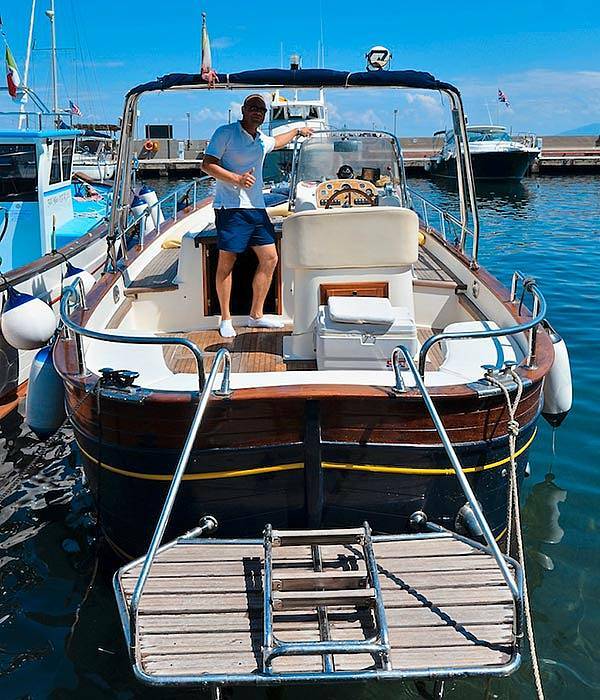 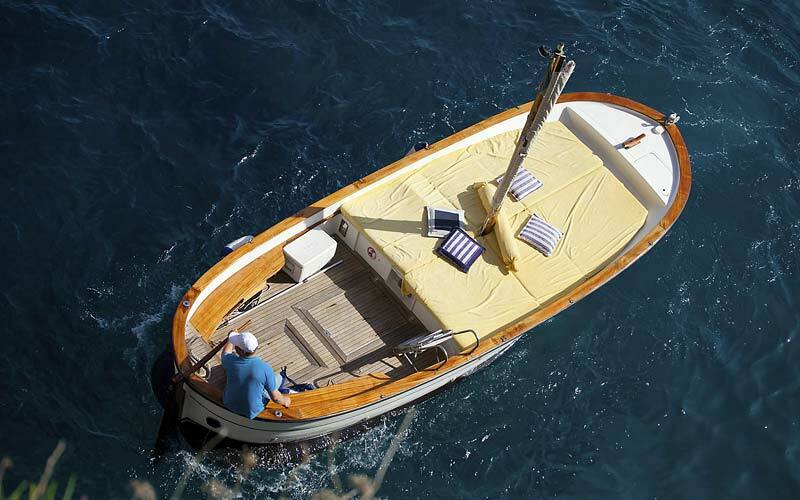 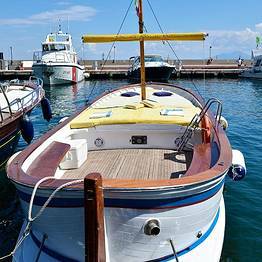 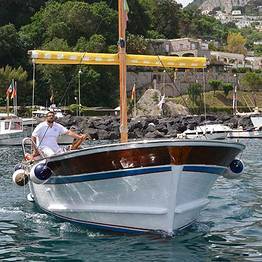 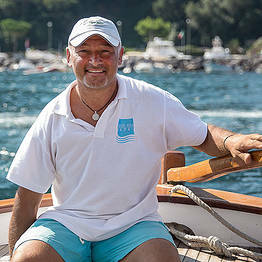 For an island tour aboard a classic wooden gozzo from Sorrento, you can decide your own schedule, from a short two hour tour, a half-day sail, or an all day sail, perhaps including either a light lunch or dinner on board. 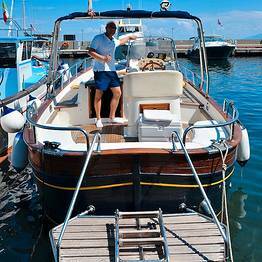 If you love southern Italian cuisine, you can book a meal at one of the many seaside restaurants on the island, and for an especially relaxing sail, request an onboard massage and stretch your sail into late afternoon for a sunset cocktail and swim as the sun sets over the Mediterranean. 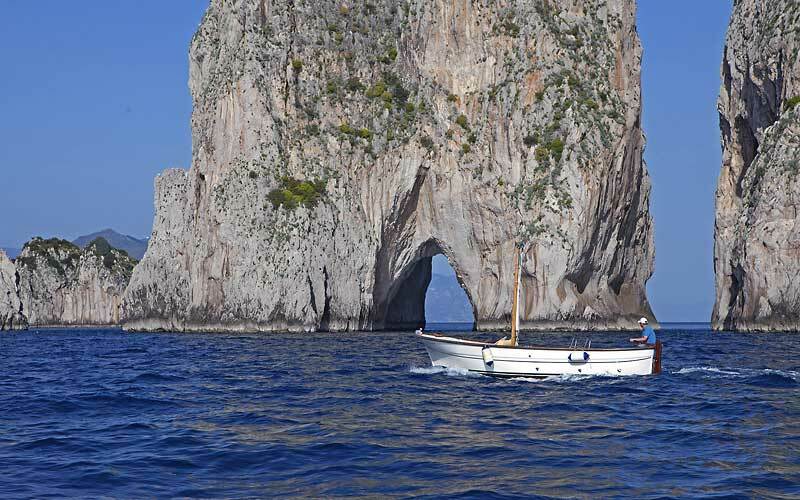 With Blue Sea Capri, it's easy to make every minute of vacation count. 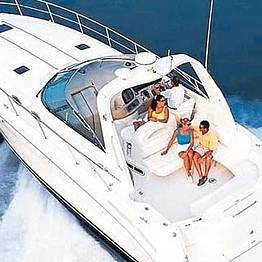 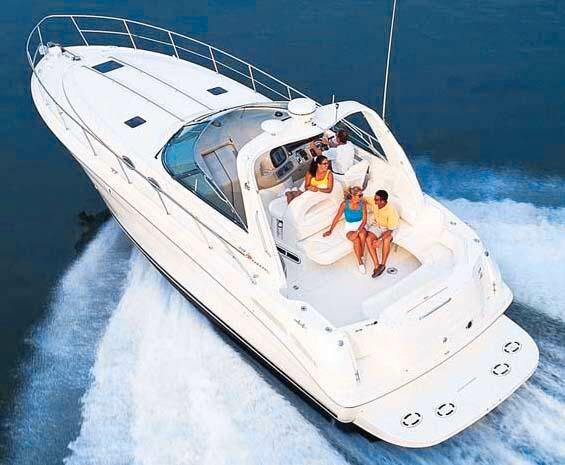 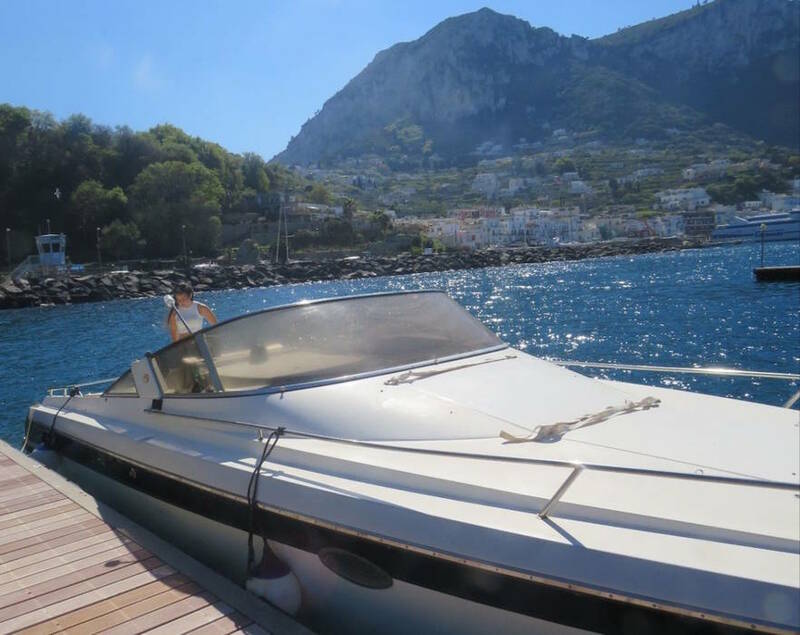 With our modern speedboats, you can reserve convenient private transfers to travel by sea to the most important towns along the Amalfi Coast, Naples, and Sorrento without having to fit your schedule to suit the route times of the public ferry. 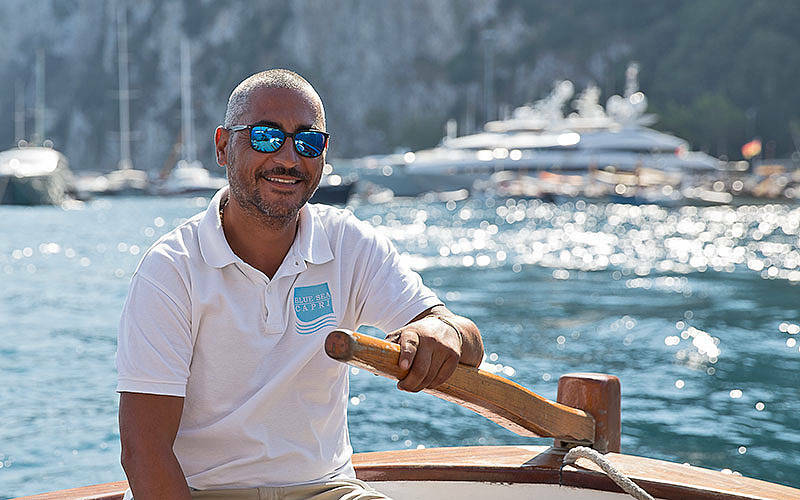 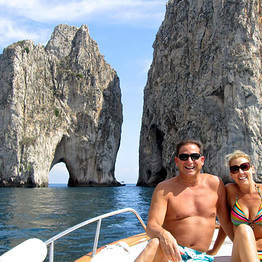 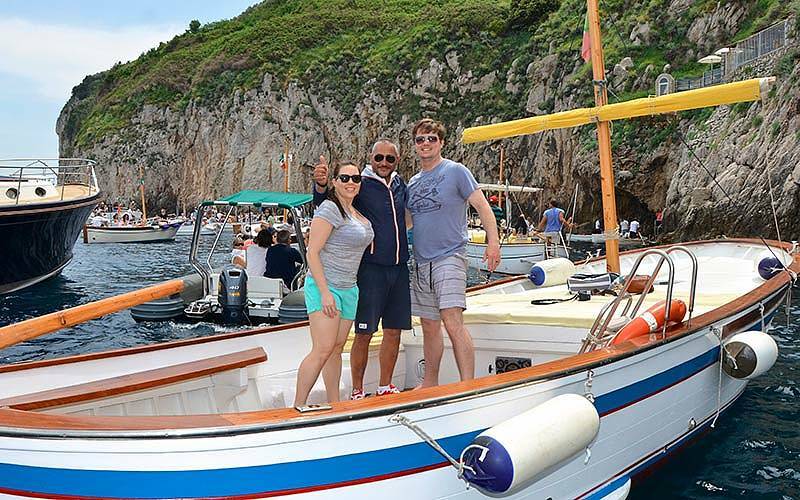 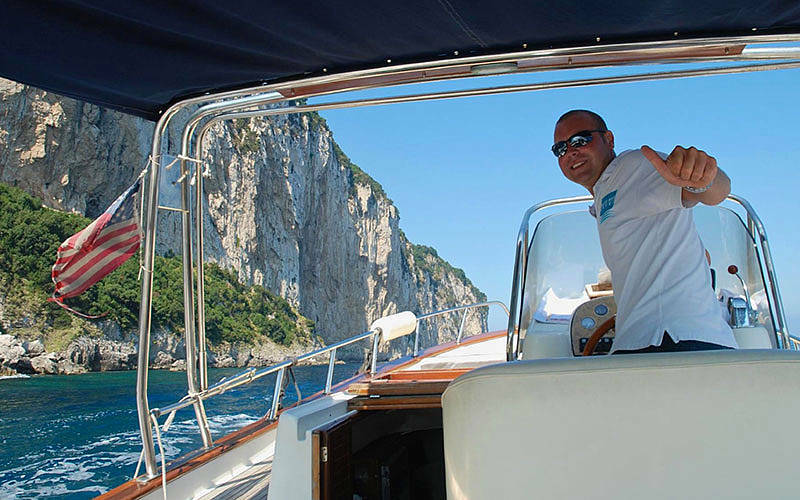 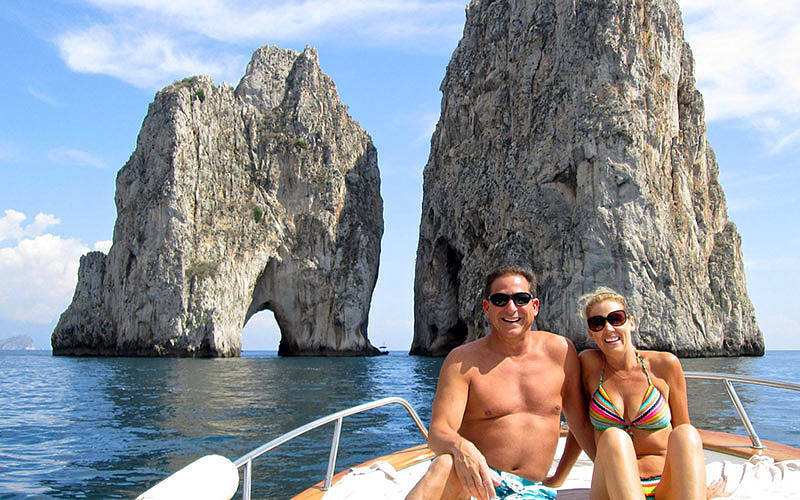 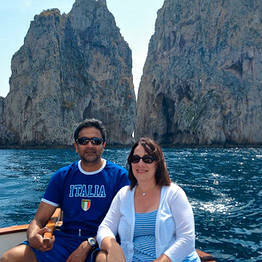 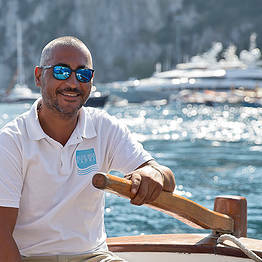 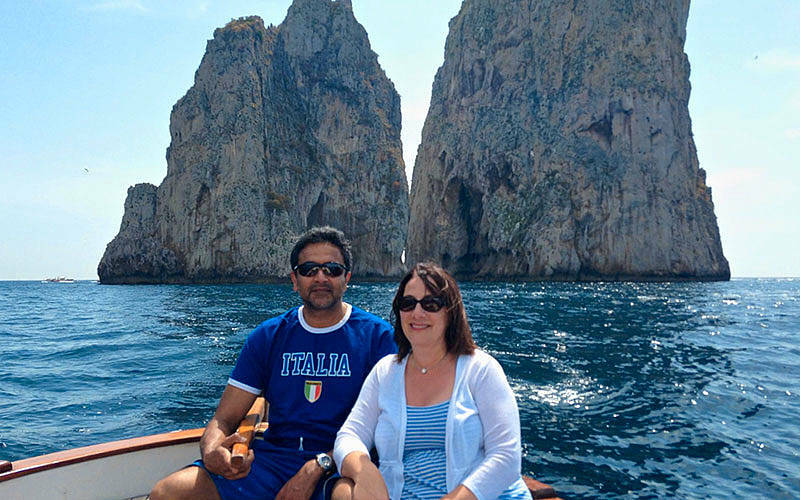 Blue Sea Capri organizes tours with private guides who can introduce visitors to the island's history and cultures, tours for wedding parties, photo shoots, and fun tours for special events for unforgettable birthdays or bachelor and bachelorette parties. 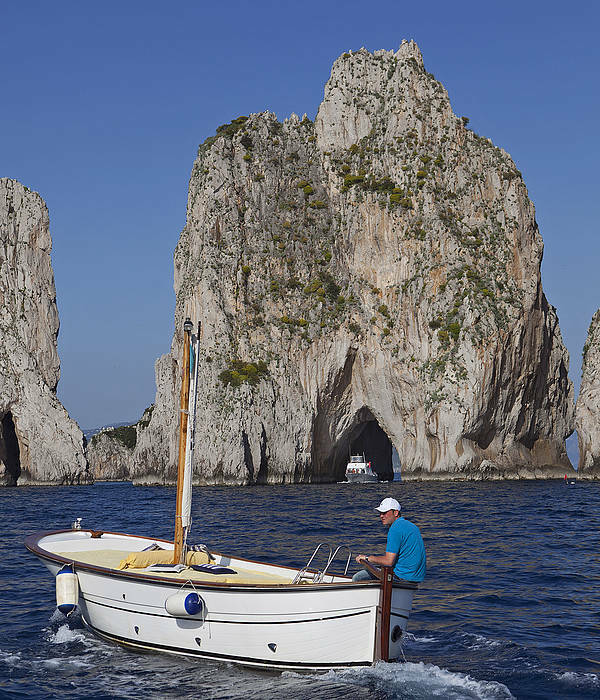 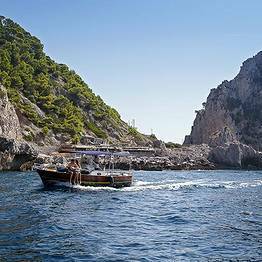 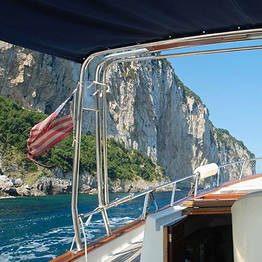 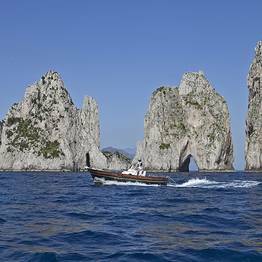 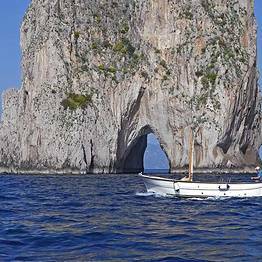 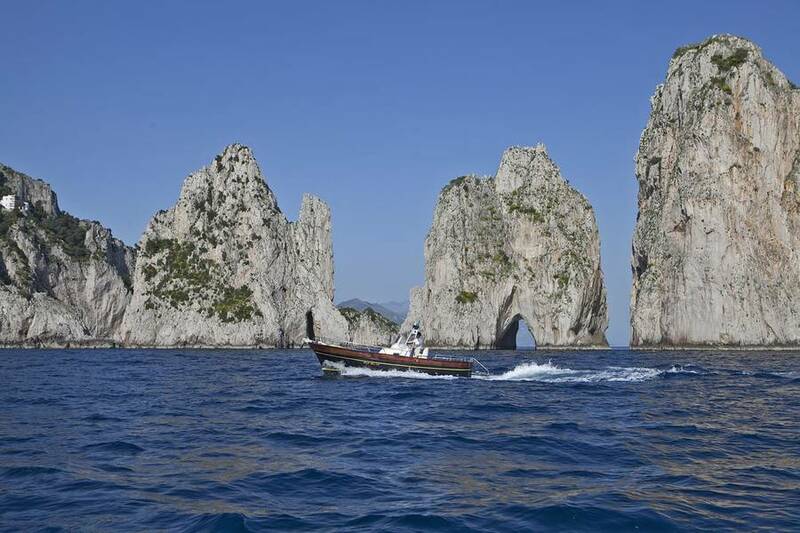 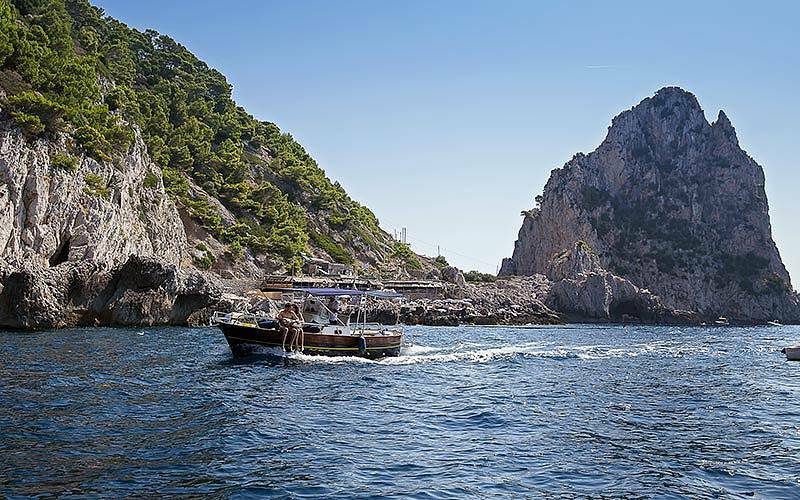 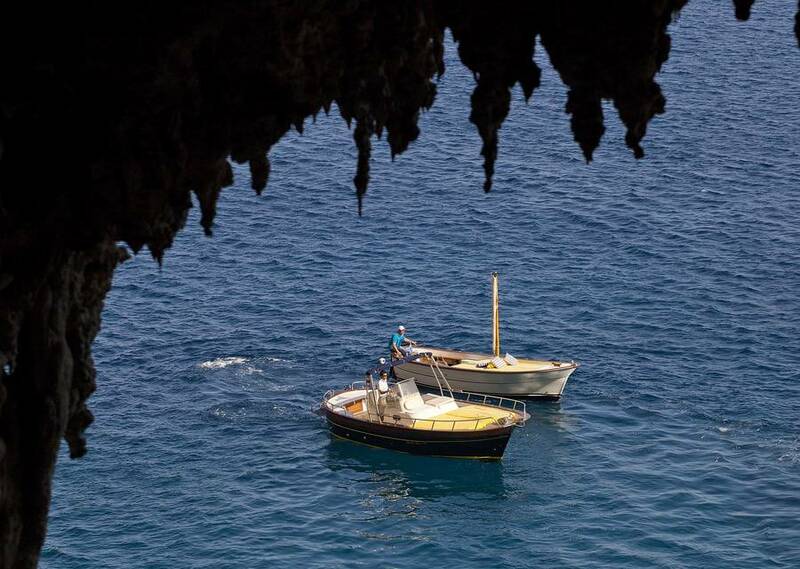 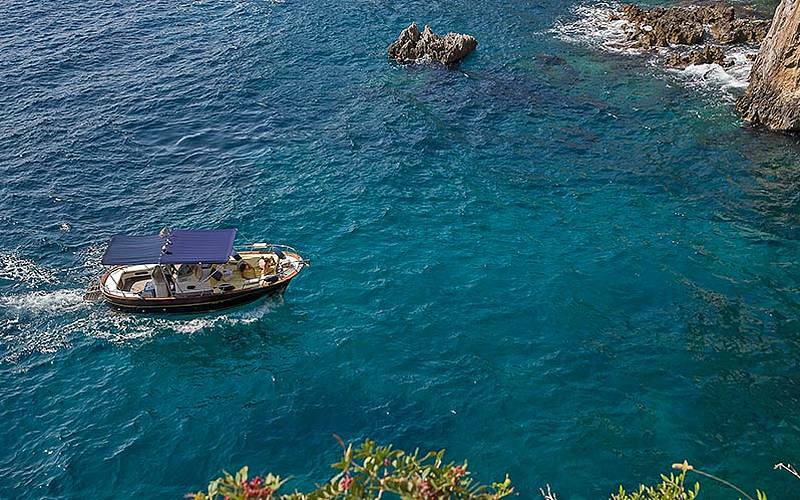 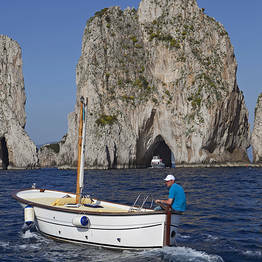 To truly experience the sea of Capri, you can arrange snorkeling during your sail, or pair your boat tour with a tour of the island on land or a food and wine tour. 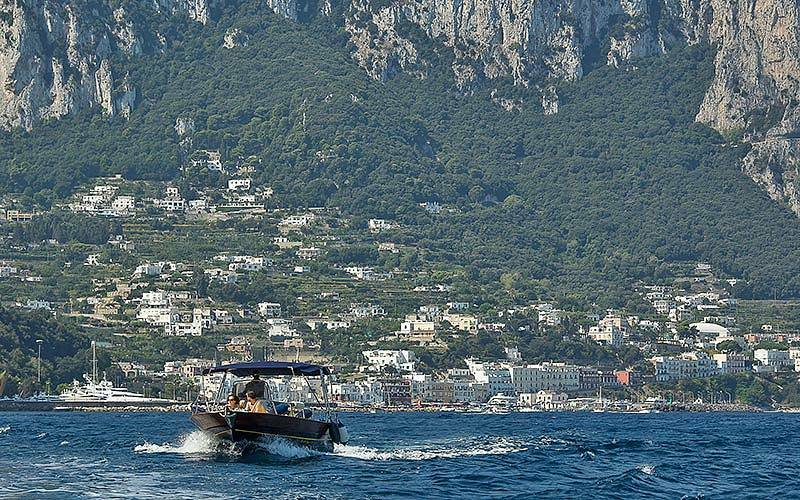 Blue Sea Capri's tours and excursions depart from Marina Grande: the old fishing district, where Capri's tourist harbor is located. 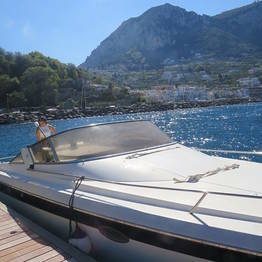 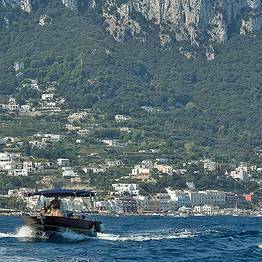 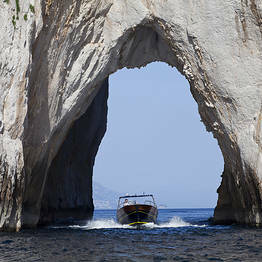 Visitors can easily reach Marina Grande from the center of Capri, by bus, taxi or funicular railway train.